Retro fashion, beautiful vintage aircraft and some of the rarest and most sought after motor cars in the world mixed with closely fought and highly competitive racing today at Goodwood as the 14th Revival meeting drew to a close. Among the estimated 140,000 people visiting the Goodwood Revival and entering into the vintage spirit of the event were musician Jay Kay and broadcaster Chris Evans. On track a trio of Jaguar Mk2 saloons took part in the St. Mary's Trophy race against the thundering Ford Galaxie 500 musclecars. 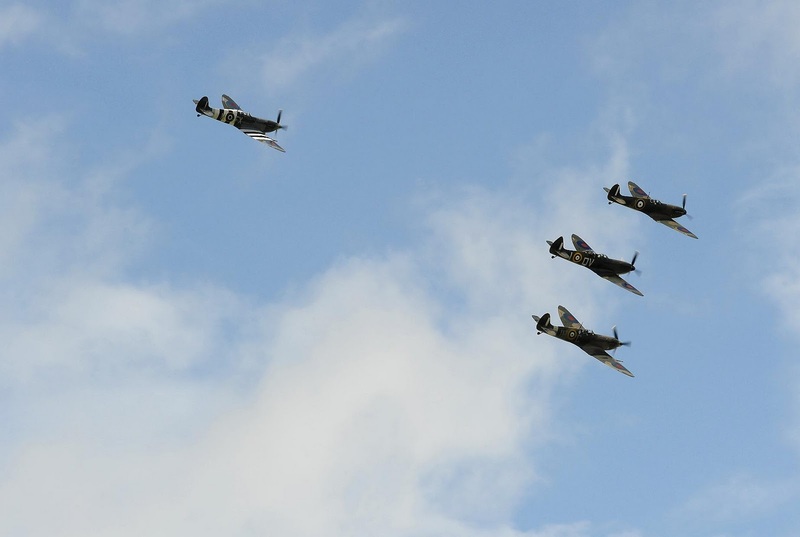 Elsewhere, an incredible 14 Supermarine Spitfires took to the skies over the weekend, thrilling the crowds with aerobatic displays as they skimmed the tree tops, marking 75 years since the maiden flight of the aircraft in style. The weekend has seen a diverse selection of vintage cars from Jaguar's sporting heritage racing in anger and on static display at the Goodwood Revival. 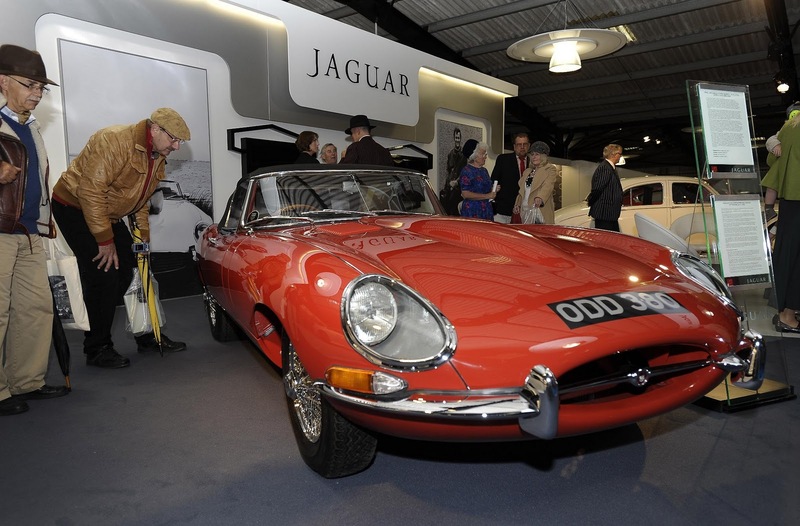 It forms just one part of the celebrations throughout 2011 to mark the E-type's 50th anniversary.